If you scroll back through the historic Air Jordan line, patterns emerge. It’s an interesting exercise because more than a few things jump out at you, especially when it comes to the Jordan 4 Motorsport. From the shape and color variety to the more functional elements, there’s a lot to behold. And yet, we often underrate another aspect of these memorable sneakers – storyline. The Air Jordan 4 Motorsport is a particularly interesting example of this bad habit. Today, it’s a shoe that is seen as yet another beautiful piece of his Airness and his legacy. What’s more, this opinion holds for both the avid and casual sneakerhead. Still, the background story often slips by without much notice. Admittedly, it’s hard to blame many people for this. Footwear brands are good at using stories to propel shoes beyond what they actually are. In the case of Jordans, they’re more than just shoes. Fans from all over the world chase them down, hunting colorway after colorway. All of these efforts take fuel from a steady stream of marketing campaigns and artificial hype. Though the criticism from that perspective is fair, it often risks missing the trees for the forest. Sometimes, the backstories do in fact make a shoe slightly more interesting. You might be thinking that a narrative isn’t quite worth the steep price tags. We can’t help but agree with that. But, you only help your own cause as a smart shopper if you know a little bit more about a shoe. Today’s internet capabilities make it incredibly easy to find performance reviews or on-feet pictures online. Frankly, looking up this sort of info before you buy into a sneaker’s hype is kind of a requirement. We think it’s worth getting the whole picture. In light of that, check out our look at the Air Jordan 4 Motorsport – from background to review! The Jordan Motorsport 4’s are a bit unique in their story. The fact that they even exist is surprisingly removed from an actual basketball court. The whole notion of this Air Jordan 4 Motorsport colorway comes from a passion that MJ seldom shares. Since his early days in the league, the greatest basketball player of all time is also a big fan of motorsports. His particular liking for fast bikes worries early stakeholders – team general managers, Nike executives, etc. – so Michael tones it down a bit. Every now and then, he took time from being a global hoops fascination to get on a bike and ride for a while. His love overtakes his sense of caution in 2004. This is when Jordan gets into contact with a racing team manager by the name of Pete Mauhar. His goal was simple – put a racing team together as quickly as possible and prep them to compete. The usual line here would be, “there was just one problem..” As it turns out, there are a lot of problems with this initial request. Jordan picks a woeful time to take on this project. The racing season is rearing to get into high gear and most riders have commitments. Still, Mauhar is up to the challenge. Somehow, he pulls together a team of riders, engineers, and maintenance pros. Making this accomplishment all the more impressive is the fact that it comes together in the span of five weeks. For context, putting together a racing team normally takes a full year of steady work. After this is done, Jordan turns to Nike’s Mark Smith to kit the team out in Jordan wears. Smith no doubt takes a minute to absorb the fact that the GOAT is putting together a racing team. But, he quickly moves right along and gets to work. Jordan knows what he’s doing when he picks Smith for the job. This is a man who leads his design efforts with Nike through practical visual narrative. Consequently, he focuses in on creating a look that fits in with the specific task at hand. No hype, no marketing, just gear that is fitting for a racing team. After some serious work, Smith, and Nike put together a competent array of uniforms and even some bike designs. The results include a wide selection of visuals and pragmatic approaches. For our purposes, the most important of those is the accompanying sneaker: the Air Jordan 4 Motorsport. There are a few elements that are particularly striking about this shoe. The upper on this OG look is perhaps the most interesting element. The Air Jordan 4 Motorsport comes in what should be a standard leather upper. The White base takes on accents of Black, Grey, and Blue. These contrasts really pop on that neutral tonal upper. Details such as a thick leather tongue and plush inner linings add some heft and support as well. 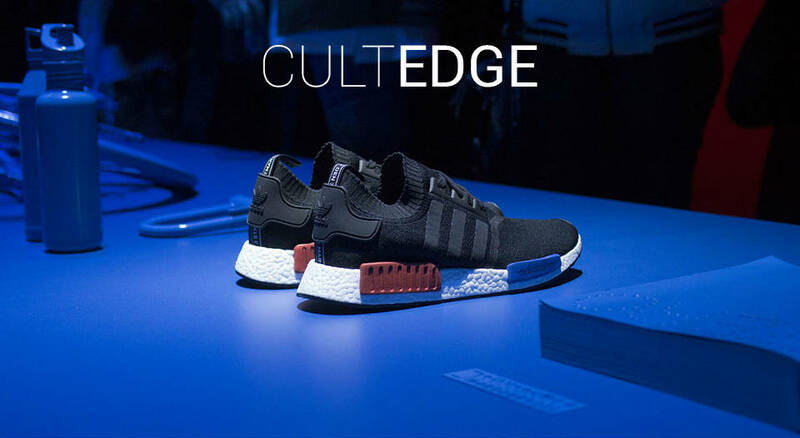 Focusing on the upper, it’s likely going down as the most interesting aspect of this shoe. The Air Jordan 4 Motorsport comes with a base material that is, for lack of a better word, underwhelming. The stitch detailing seems misplaced and the actual construction feels more synthetic than OG leathers. Though it’s difficult to see this issue via pics of the Jordan 4 Motorsport on feet, there’s another way. You never really know how good or bad something is until there’s a competent comparison. In the Alternate Jordan 4 Motorsport, that’s just what we’ve got. The quality here is drastically different, featuring a Black base upper in a premium tumbled leather. Both the look and feel of this build represents something closer to the ideal Air Jordan 4 Motorsport release. Knowing this, the choice still comes down to what you value more. The OG Air Jordan 4 Motorsport comes with a more narrative punch than any real quality. The Alternate edition features less of a story connection and more physical in-your-hand value. You might well lean strongly in either direction, but one thing’s for sure: it’s always good to know as much about the shoes you’re wearing as possible! If you are a fan of the Air Jordan IV, make sure to also check out versions like the Pure Money and the KAWS x Air Jordan IV. All pics via Jordan Brand/ Nike unless noted otherwise.